Diamond Details: 14 Baguette cut and 12 marquise cut white diamonds of F color, VS2 clarity, with excellent cut and brilliance, weighing .92 carat total. 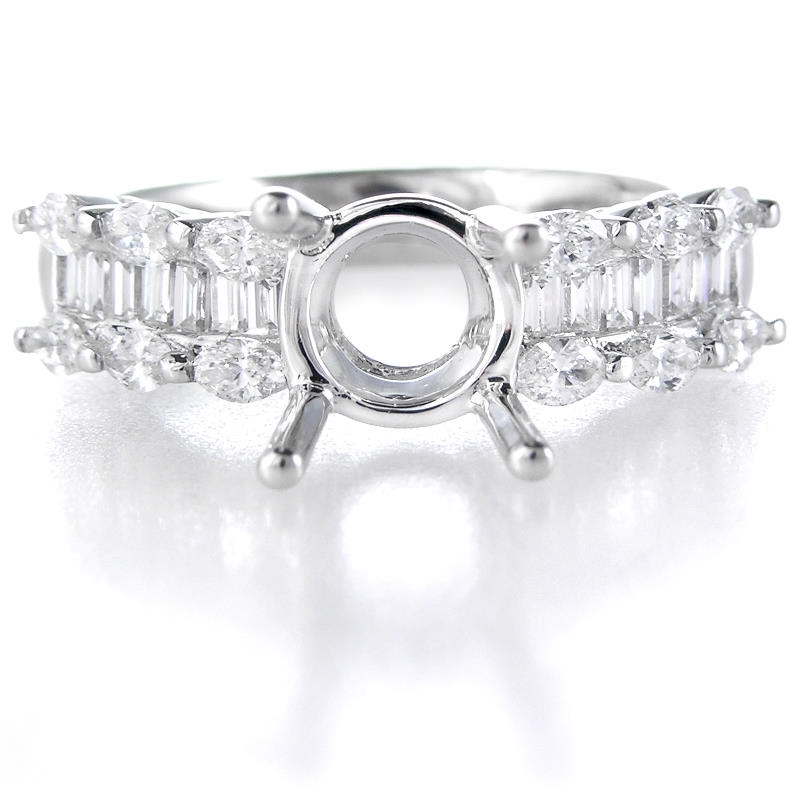 Setting Details: Platinum setting and accommodates a 1.75 to 2.00 carat round cut center stone. 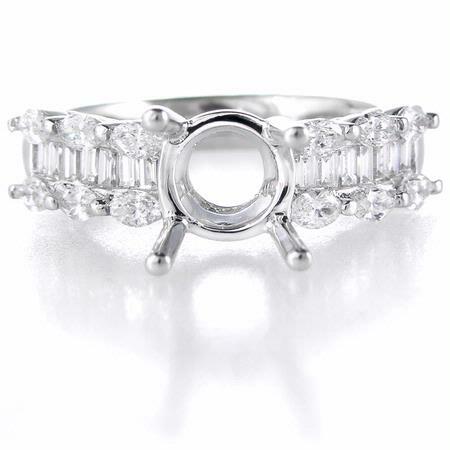 This sparkling platinum engagement ring setting, designed in Italy, contains 14 baguette cut and 12 marquise cut white diamonds of F color, VS2 clarity and excellent cut and brilliance, weighing .92 carat total. 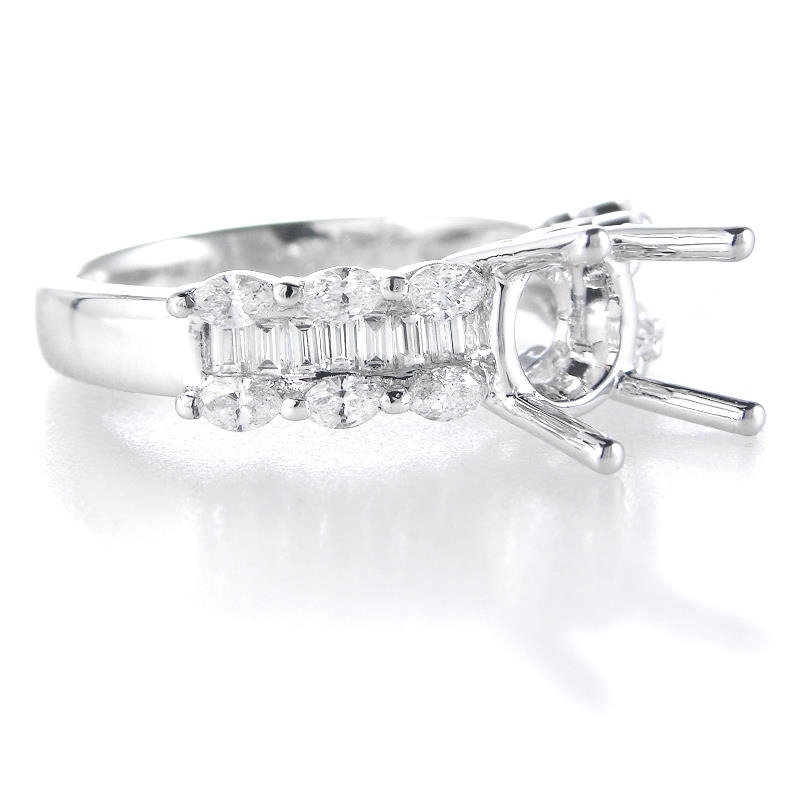 This diamond engagement ring setting is a size 6 and accommodates 1.75 to 2.00 carat round cut stone. 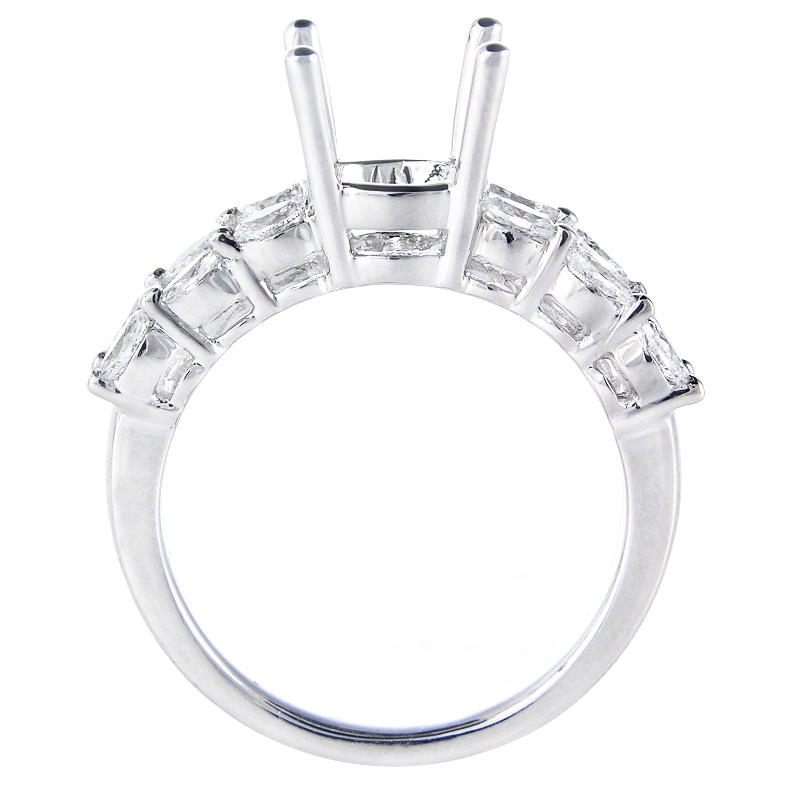 This diamond engagement ring setting is sizable to most finger sizes. Some sizes may have to be special ordered and will take 4-6 weeks for delivery.